What happens to closings if flood insurance expires? Could Flood Insurance Expire and if so What Will Happen to Closings Involved? ORLANDO, Fla. – Dec. 4, 2018 – The National Flood Insurance Program (NFIP) generally has bipartisan support, and most lawmakers don't want to see the program completely shut down. As a result, Congress usually extends the program when a deadline looms so they have more time to write comprehensive legislation to deal with NFIP's current problems. However, this Friday may be the exception, and the program could be shut down for days or weeks. Congress must pass some long-term funding bills, and President Trump has threatened to shut down the government if those bills don't include funding for one of his big campaign promises – a border wall. There are a lot "ifs," but if the NFIP extension is added as amendment to a bill that doesn't immediately pass, program funding could be cut until government operations get back on track. The funding bill deadline was also scheduled for Friday, though that has been pushed back to Dec. 21 in deference to the death of former President George H. Bush. However, the flood bill extension deadline is still this Friday, and Congress has not yet made it clear how it will act. If a buyer needs a mortgage for a home located in a flood zone, it's very possible the lender won't release funds in time to close if there's no NFIP policy in place. While mortgage banks often follow different rules, most won't lend money unless they know the owner has insurance to cover damage from a flood. One option in Florida is the growing availability of private flood insurance policies – ones administered and offered by private firms. However, many lenders don't allow buyers to qualify with any flood policy outside the NFIP, depending on how a property is zoned for flooding. 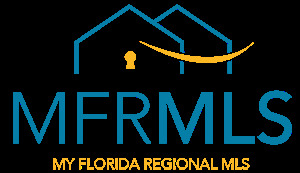 "Most carriers do not recognize other policies as equal to NFIP for any flood zone higher than an X zone," says Maria S. Wells, broker/owner of Lifestyle Realty Group in Stuart, 2017 Florida Realtors® president and 2019 Region 5 VP for the National Association of Realtors®. "And a (flood insurance) lapse would still have devastating effects for closings." While more Florida insurance companies are starting to offer private flood insurance policies – ones that don't rely on the federal government to keep extending the NFIP – it probably won't help new homebuyers. Wells says private policy issues need to be addressed in any comprehensive update of the NFIP. If a homeowner cancels NFIP coverage and goes with a private insurer, for example, what happens if that private insurer goes out of business or greatly increases the cost of coverage? Will the homeowner be able to return to NFIP for coverage? "Until Congress can pass a responsible bill to make the NFIP solvent, deal with mitigation issues and level the playing field with rates, we will continue to have a broken system that keeps getting kicked down the road leaving homeowners and their communities in peril when Mother Nature decides to pay a visit," says Wells. Buyers may be able to secure NFIP coverage before closing if they apply and receive confirmation before the program shuts down. Buyers may "assume" the current policy owned by the seller under certain conditions. For this to work, the seller must have coverage and be willing to transfer it. Check GR 15 in a PDF doc posted online at FEMA's website. Secondary lenders that purchase mortgages have their own guidelines on how to handle a flood insurance lapse. A lender may, for example, create a legal way for buyers to put money in escrow and sign docs so they can get NFIP coverage as soon after closing as possible. However, this isn't necessarily common. Should flood insurance expire, FHA, Fannie Mae, Freddie Mac and VA will probably release guidelines with more information.